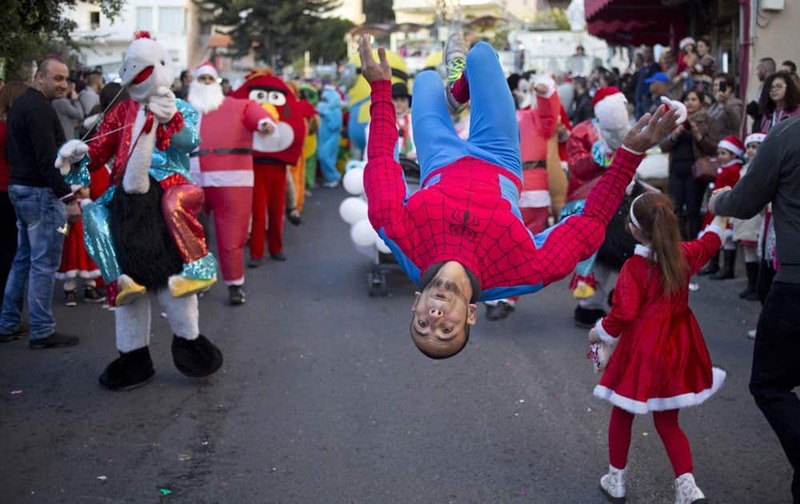 We bring to you some of photos Christmas celebration from around the world. 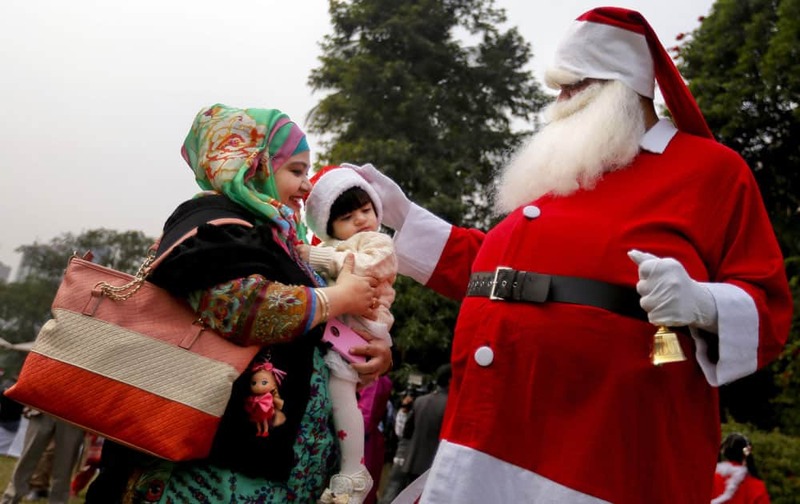 A man dressed as Santa Claus blesses a child at a Christmas party in Dhaka, Bangladesh. 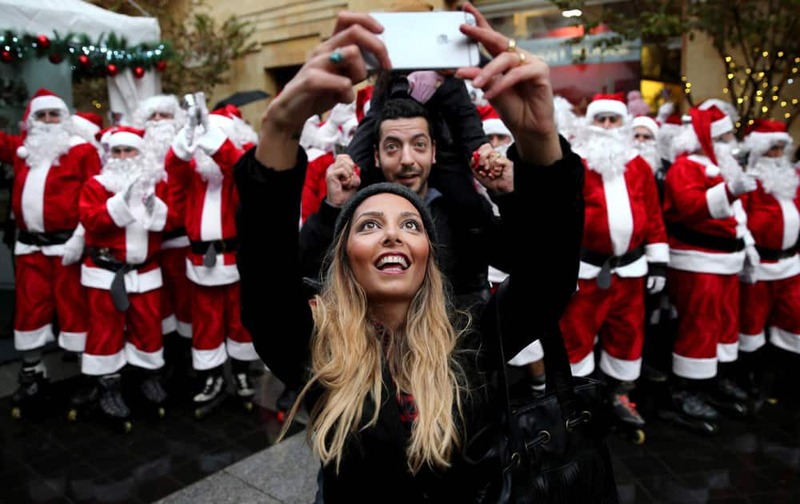 A Lebanese couple take selfie in front men and women wearing Santa Claus costumes during a parade for Christmas, in downtown Beirut, Lebanon. 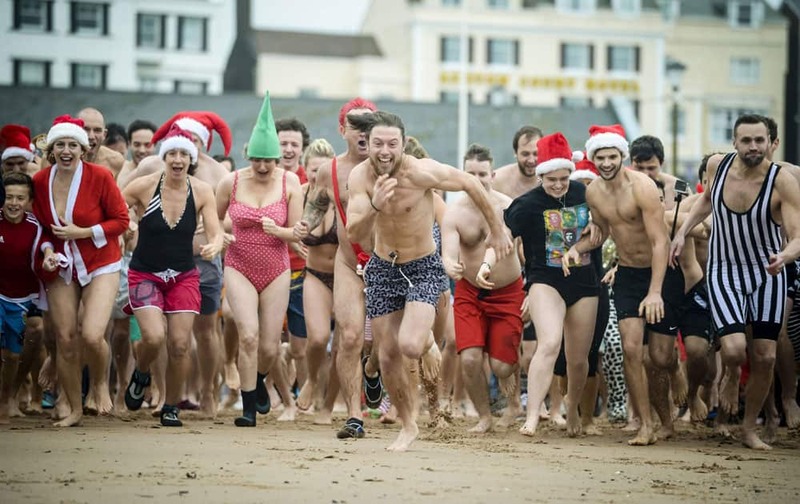 People take part in the annual Exmouth Christmas day swim, at Exmouth beach, in Devon, England. 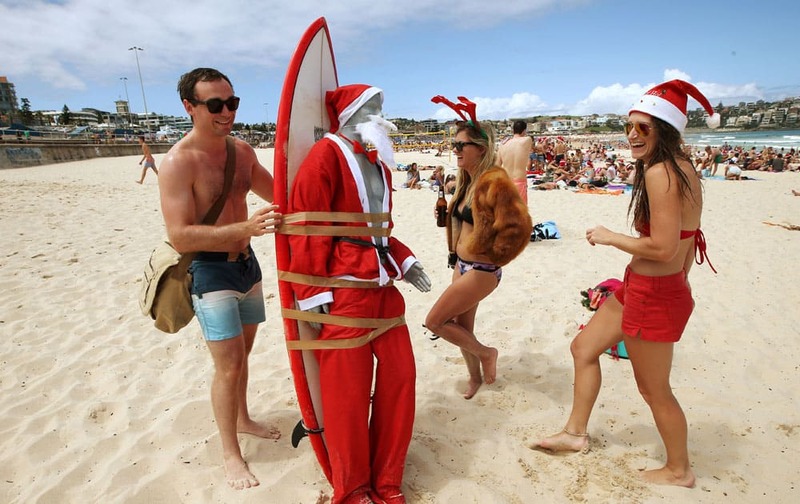 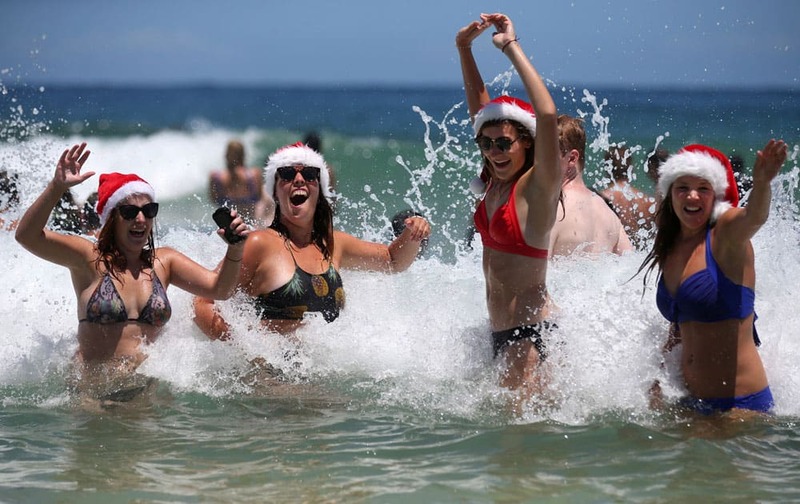 A figure in Santa costume is strapped to a surfboard for easy transport along Bondi Beach as Tom Ray, left, of Britain, Ashley Pronyk of Canada, and Helen Maine, right, of Britain celebrate Christmas Day in Sydney, Australia. 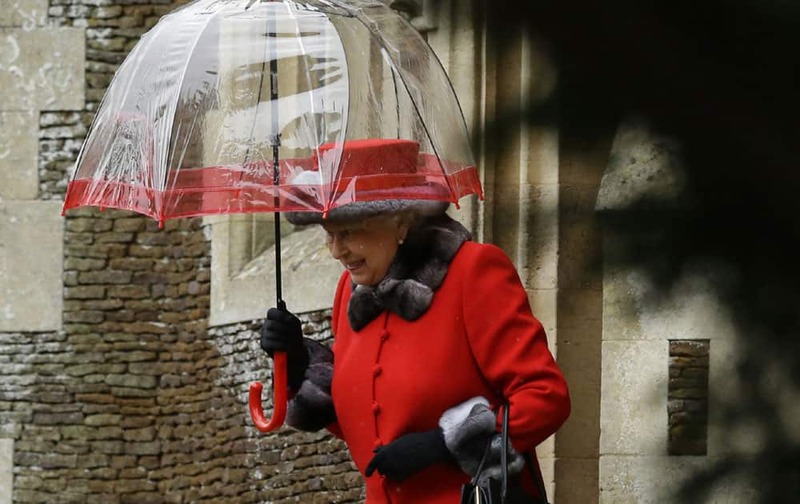 Britain's Queen Elizabeth II shelters under an umbrella as she leaves, after attending the British royal family's traditional Christmas Day church service at St. Mary Magdalene Church in Sandringham, England. 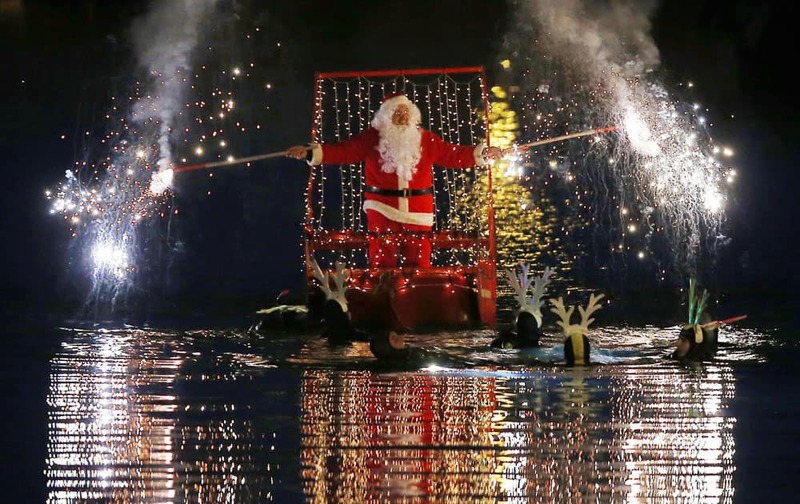 A man dressed as Santa Claus lights flares as he sits on a boat toed by swimmers, in Imperia, near Genoa, Italy. 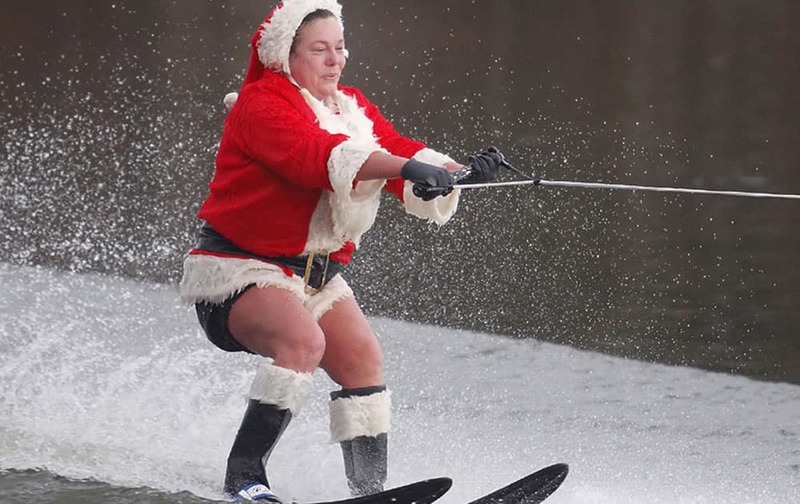 Janet Hurley-Quackenbush waterskis on Christmas Day at Goodyear Lake in Colliersville, New York, during unseasonably warm weather on Dec 25. 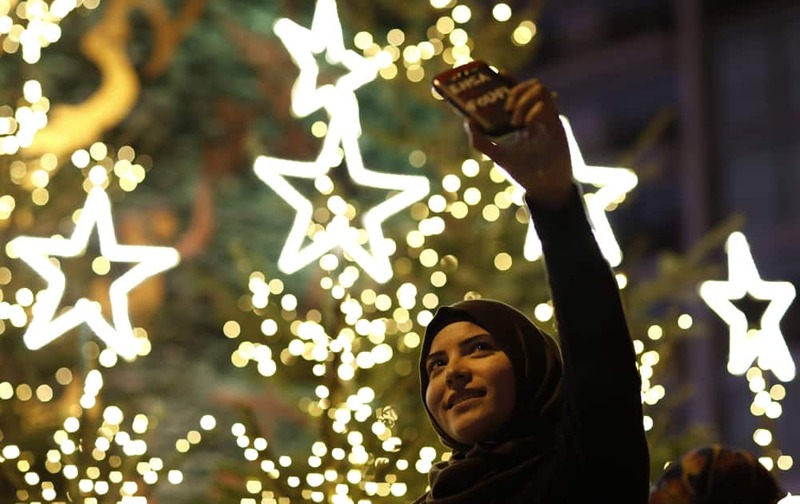 A Muslim Lebanese woman takes a selfie with Christmas trees in Downtown Beirut, Lebanon.